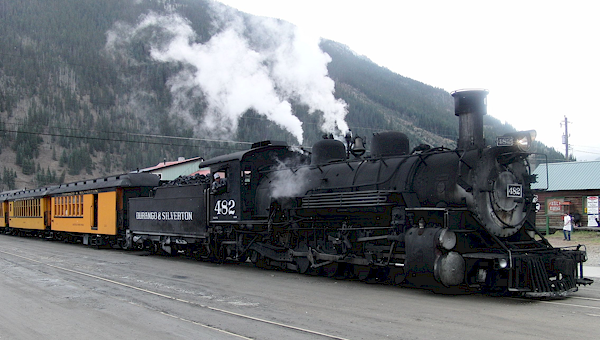 Discover the D&RGW history of The Durango & Silverton Narrow Gauge Railroad. This website was designed by Jim McGillis, and is part of the Moab Live cloud of websites. In 1880, the Denver & Rio Grande Western Railroad (D&RGW) built narrow gauge tracks to a new town, which they named Durango, Colorado. It was a time of rapid expansion for railroads throughout the U.S.A. Early rail boosters had hoped to build rails from Durango, Colorado to Durango, Mexico, over one thousand miles to the south. By the 1960s, the old D&RGW narrow gauge system was functionally obsolete. By 1970, the railroad had abandoned the old rights-of-way from Durango to both Alamosa and Farmington, New Mexico. That left only one operational branch of the old narrow gauge system. Although it still hauled some freight and mail, the Silverton Branch transitioned gracefully into its role as a tourist attraction. In the 1980s, new owners bought the Silverton branch and all of its remaining rolling stock. 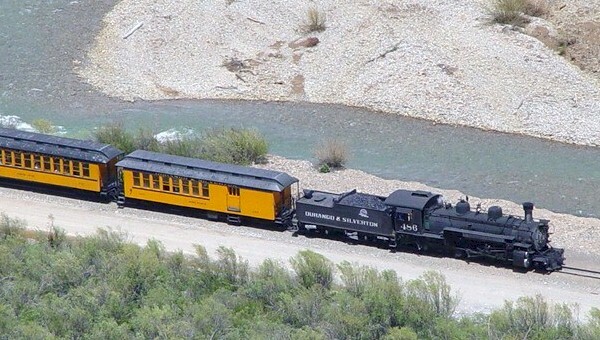 Renaming it the Durango & Silverton Narrow Gauge Railroad, freight and ore hauling gave way to passenger excursion trains. The trip to Silverton features a spectacular climb through the Upper Animas River Canyon. Its northern terminus is at Silverton, which basks at a breathtaking 9300 ft. elevation. With natural and historical features too numerous to mention, the old Silverton Branch is now more profitable and popular than ever. 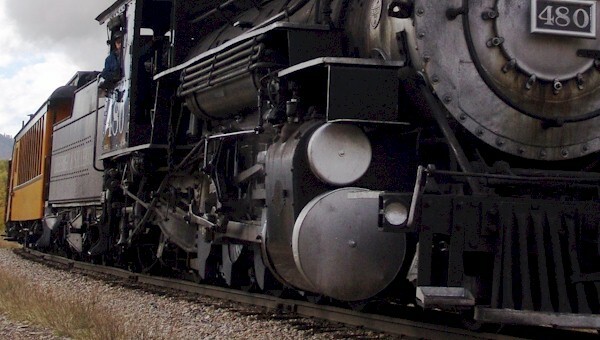 With a railroad history spanning over one hundred thirty years, it is time to look back to earlier days. At section houses, like Hermosa, dedicated men and women sacrificed both pleasure and comfort to raise the next generation of D&RGW men. From “hiring out” until their retirements decades hence, the Connor family and others like them kept the trains rolling on the challenging tracks of the Silverton Branch. 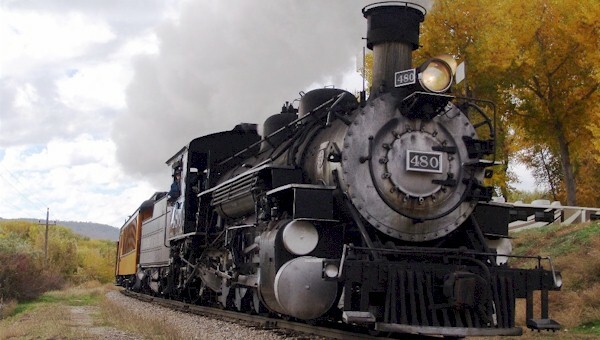 With its cadre of K-28 and K-36 steam locomotives now approaching their own centennial, rail fans can look back to glory days of steam and then look forward to a new century of Durango Steam.